Berlin began life as Israel Beilin in 1888, half-a-world away in a small Jewish enclave in the Russian Empire. His exact birthplace is unknown. His family had its roots in Byelorussia (Tolochin in present-day Belarus, about halfway between Moscow and the Polish border), though he may have been born in Tyumen, in western Siberia, deep in the Russian interior. They were subject to the numerous state-sanctioned persecutions and restrictions beginning in 1881 enacted by Czar Alexander III against the Jewish inhabitants of the Russian Empire. Like many Jewish families, the Beilins (two parents and seven children, one already married) decided to emigrate to America. Berlin’s father was a cantor and, after their arrival in 1893, he performed a number of ceremonial duties among the burgeoning Jewish community of the Lower East Side. Thrust into this teeming world of crowded conditions and with intermittent education, the young Israel did what many other immigrant children did - odd jobs to contribute the necessary few pennies to keep the struggling family going. Despite growing up impoverished by any objective assessment, Israel professed himself content with his lot. When his father died in 1901, the now teenaged Beilin struck out on his own. Blessed with a keen ear for music and a pleasant-enough singing voice, he scraped together a meager living by performing songs in various informal venues, most notably as a singing waiter at Mike Salter’s well-attended Pelham Café in Chinatown. The boisterous atmosphere for novelty songs at the time led to Berlin’s contributing lyrics to “Marie from Sunny Italy” - a typical ethnic ditty of the time - with music by Mike Nicholson, with whom he split a 75-cent royalty. The sheet music cover assigned the words to an “I. 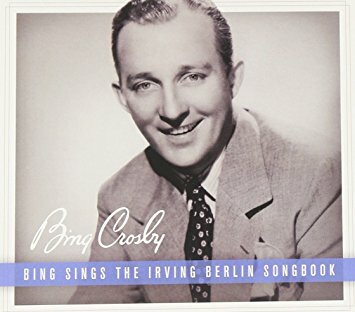 Berlin” and, thus, in 1907, “Irving Berlin” became the enduring name of the aspiring young songwriter. Berlin soon found himself in the thick of the vastly expanding world of popular music, sold to the American public mostly through copies of colorful sheet music, promoted by the increasingly powerful music publishers who kept offices along Manhattan’s “Tin Pan Alley” (West 28th Street). In order to be successful in this arena, a songwriter had to be possessed of a keen eye for the tastes and fads of contemporary America and a keen ear to capture a variety of musical idioms. Luckily, Berlin had both. By 1909, he was composing music as well as writing lyrics and came up with dozens and dozens of songs - some of which made an impression, while others quickly faded. However, in 1911, Berlin hit upon the musical composition that catapulted him into legend: “Alexander’s Ragtime Band.” A jaunty tip of the hat to the ragtime craze (although not technically of the ragtime genre) the song reached the larger public in several stages: first as a vaudeville number premiered in Chicago by Emma Carus; then as a performance by Berlin at the Friars Frolic of 1911; then increasingly “covered” by performers in vaudeville and early gramophone recordings. It set a new record by becoming the fastest selling song of its time, moving a million copies of sheet music within four months; by 1912, “Alexander’s Ragtime Band” had sold over two million copies of sheet music and subsequently a million more. It was the most ubiquitous song of its era and had become a cornerstone of the music publishing industry. As 1912 began, Berlin himself became an official part of that industry: his name was added to the firm of his collaborator Ted Snyder, now officially called Waterson, Berlin & Snyder. With professional success came personal tragedy. That same year, Berlin married Dorothy Goetz; on their honeymoon in Cuba, she contracted typhoid fever and died six months after their wedding. Devastated, Berlin slowed his pace considerably, but turned his sorrow into “When I Lost You,” a veritable haiku of grief, which critics agree matured Berlin into a major songwriter. Berlin was also feted in New York and London for his songs and became a pioneering member of The American Society of Composers, Authors and Publishers (ASCAP), the group of composers and publishers devoted to protecting the rights and royalties of songwriters. He would go on to establish his own publishing house in 1917 - which would control the management of his stage and mechanical royalties in perpetuity - Irving Berlin Music, Inc.
With this move, Berlin not only gained control over his own profits, but his own artistic destiny; his initiative to publish his own material inspired future songwriters such as Rodgers and Hammerstein, as well as Andrew Lloyd Webber, to set up their own publishing firms, making Berlin as innovative a businessman as he was a songwriter.